Four teens join forces in a thrilling time-travel adventure. 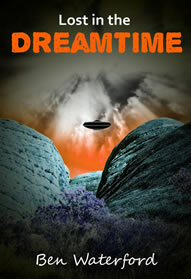 A dramatic Australian sci-fi/adventure set in the rugged Kimberley region of Western Australia. Click the 'My Books' button for a more detailed description of my books and where to purchase. Hi, my name is Ben Waterford and I enjoy writing fiction novels and short stories. I live in Perth, Western Australia with my wife and have two adult children. I started writing late really at the age of 52 just as a challenge to myself. I had always wanted to write a book and I suppose it was getting to be now or never. I don’t stick to any particular genre and just have fun writing whatever comes to mind. I semi-completed my first novel in 2010, with a storyline about four teenage youths who become entangled in a WW2 time-travel experiment and end up in some fun and often dangerous adventures. This novel was shelved while I concentrated on writing my second book about a young boy lost in the Australian outback. This Sci-Fi adventure novel titled 'Lost in the Dreamtime' was released in late 2014 as an eBook at KOBO Books, but later published with Amazon Kindle, Apple iBook’s and others in February 2016. 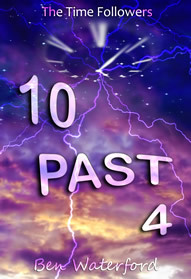 By May 2016 I was satisfied that my original novel was now ready to publish, so the first YA book in 'The Time Followers' theme, titled '10 Past 4' was released. My third book 'I Dreamed A Dream' was published in December 2016. In September 2017 I completed a short story titled 'The Rat and the Signalman'. This short story is free to download from this site. 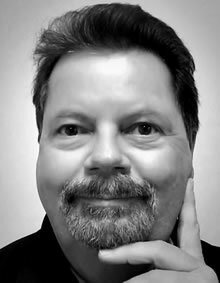 If you wish to find out more about my books please click on the 'Read More' button below. LIMITED TIME. Once again for visitors to my website I am giving away another freebie. This time a copy of my novel titled 'Lost in the Dreamtime'. To download just click the book on the Bookshelf and download yourself a copy. The ZIP file contains an EPUB, MOBI and PDF version. If you like the book and are a 'Goodreads' member please find and rate the book. Happy Reading! 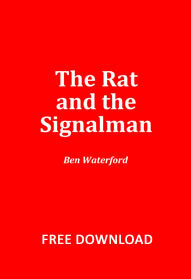 For visitors to my website I am giving away a free copy of my short story titled 'The Rat and the Signalman'. Completed in September 2017, click the book on the Bookshelf and download yourself a copy. The ZIP file contains an EPUB, MOBI and PDF version. My ebooks are now available on the international Overdrive Library ... Visit your local library and request my books from the Overdrive Library system for lending free. My novels are now also available on Playster ... the global based entertainment service. Playster can be used in any web browser on a desktop or laptop computer, as well as Android and iOS devices. 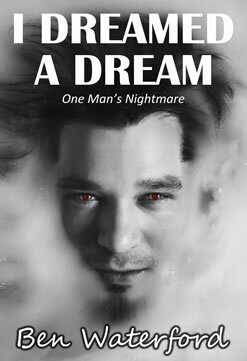 My third novel 'I Dreamed A Dream' is now published as an ebook and available through all the major e-book online stores. Copyright© Since 2014. All rights reserved.